The date was November 22, 1998, just south of Stamford, TX. After going for 10 years without having heard from my dad or knowing where he was, the Lord brought us together at my granddad’s (his dad’s) funeral where I had the opportunity to tell him something very important: I’d forgiven him. Next only to my profession of faith in Christ, this was the most important decision I’d made in my entire life. 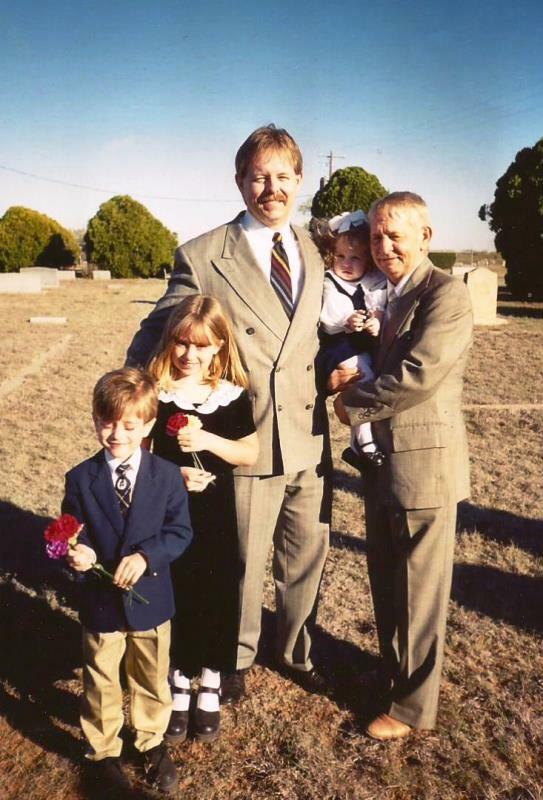 My story of “how I forgave my dad” is linked at the bottom of this blog. It’s my story of how, after having grown up in a severely violent, alcoholic home, Christ can take what the enemy intended for evil, and redeem it for His glory. In the photo below is Jordan (5), Kelsie (7), me, and my dad holding Macy (2). NOTE: This was the first time my dad had ever met my children. Read my story of How I Forgave My Dad here. ← What Would Life be Without Music?